Would you bed down in a transparent luxury hotel suite — attached to the side of a cliff and, you know, 400 metres above the ground? 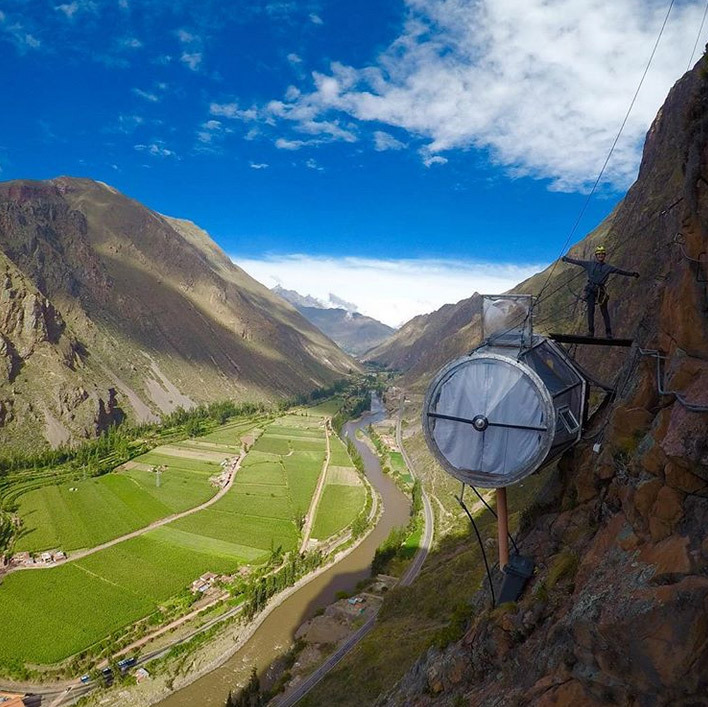 Greece-based traveller Margarita Koufou (Instagram/@margarita155) did just that, uploading a video of her dizzying experience at SkyLodge Adventure Suites in Peru to YouTube — and Twitter can’t get enough of the nail-biting footage. Snippets from the terrifying hotel in the sky has been trending on Twitter Moments since last week, and it’s mesmerising stuff — if a little scary for the height-challenged among us.